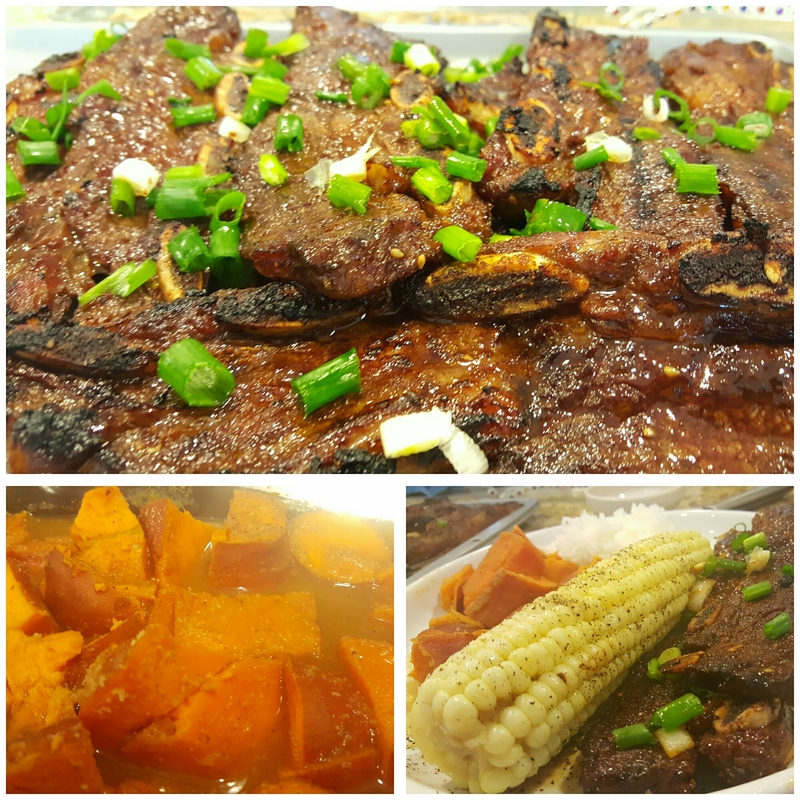 Korean Marinated BBQ Ribs on a Sunday in the Bay! Barbecue varies by region, with the four main styles named after their place of origin: Memphis, Tenn.; North Carolina; Kansas City; and Texas. Memphis is renowned for pulled pork-shoulder doused in sweet tomato-based sauce (eaten on its own or as a sandwich). North Carolina smokes the whole hog in a vinegar-based sauce. Kansas City natives prefers ribs cooked in a dry rub, and Texans … well, Texans dig beef. Eastern Texas’ relative proximity to Tennessee puts it in the pulled-pork camp, but in the western segment of the Lone Star State, you’re likely to find mesquite-grilled “cowboy-style” brisket. Locals defend their region’s cooking style with the sort of fierce loyalty usually reserved for die-hard sports fans. Just as you’re better off not mentioning the Yankees to a Red Sox fan, it’s probably best not to proclaim your love for Texas beef to anyone from Tennessee. Because barbecue doesn’t require expensive cuts of meat — why bother when you’re just going to slather it in sauce and cook it ’til it falls off the bone? — it became a dietary staple for impoverished Southern blacks, who frequently paired it with vegetables like fried okra and sweet potatoes. The first half of the 20th century saw a mass migration of African Americans from the rural South to Northern cities, and as they moved, they took their recipes with them. By the 1950s, black-owned barbecue joints had sprouted in nearly every city in America. Along with fried chicken, corn bread and hush puppies, barbecue came to be known as a “soul food” dish. 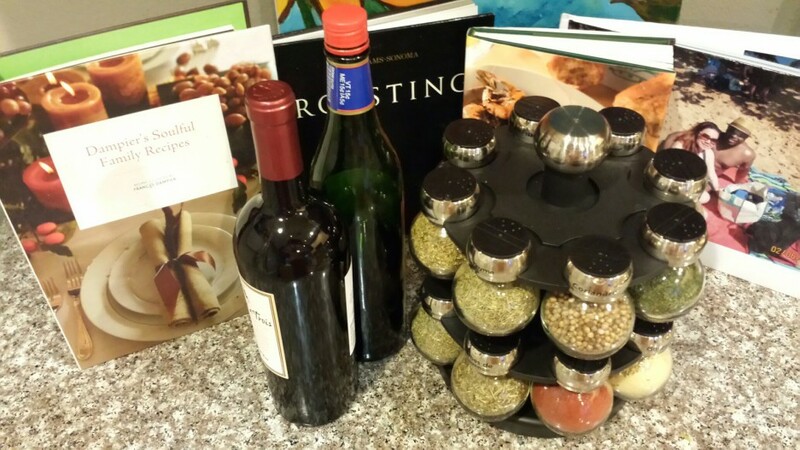 To this day, there is a strong connection between the cuisine and the African-American community. So my wife was gone on a business trip for just about a week and we’re looking to celebrate her return. What better way to celebrate any important event than to barbecue! How about Korean marinated BBQ Ribs?! Mazarati Pizza Quality over at Piatti! 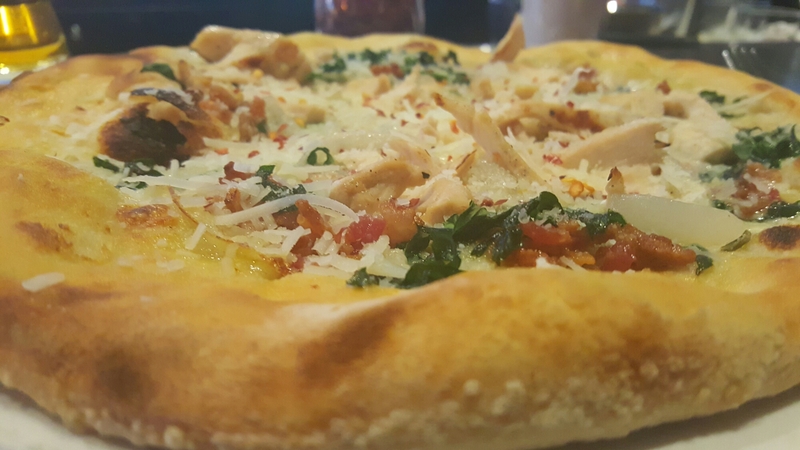 The word “pizza” is thought to have come from the Latin word pinsa, meaning flatbread (although there is much debate about the origin of the word). That ooey gooey cheese leaking craving for some pizza itch. Where can I satisfy this beast within me? How about an Italian restaurant packed with glamor and pizazz? Tasty Grub that will Tickle your Tonsil when your Dining at Roscoe’s Chicken and Waffles! The earliest American chicken and waffle combination appears in Pennsylvania Dutch country during the 1600’s, when home cooks made waffles and topped them with pulled chicken and gravy. A different, decidedly soul food-inspired approach to the pairing worked its way into popular culture much later with the opening of Wells Supper Club in Harlem, New York. The restaurant, known simply as “Wells” to regulars, opened in 1938. Wells became a late night hotspot for jazz musicians, who would stop by late at night after their various gigs. The musicians, arriving too late for dinner but too early for breakfast, enjoyed the appetizing compromise of fried chicken and waffles. Before long, Wells was frequented by the likes of Sammy Davis Jr. and Nat King Cole (who held his wedding reception there). Wells managed to inspire a nationwide trend. In 1976, a Harlem native named Herb Hudson opened a Los Angeles restaurant dedicated exclusively to the pairing: Roscoe’s House of Chicken and Waffles. Hudson’s Motown connections helped to launch the restaurant, making it a popular destination for music industry professionals and performers in the Los Angeles area. Over the years, the restaurant has become an established part of the Hollywood food landscape. Roscoe’s is so well known, in fact, that President Obama took time out of his busy schedule in 2011 to make an unscheduled stop there. In case you’re curious, he ordered the “Country Boy,” Number 9– three wings with choice of waffle, potato salad or French fries. Here’s hoping he chose the waffle. Chicken & Waffles of Course!! and the sides of your liking.. There is is a new American staple that has hit the taste waves and it’s not your normal breakfast. We’ve heard of the Grand Slam Breakfast with pancakes, eggs and your choice of bacon,sausage or ham. We’ve heard of Waffles and your choice of bacon, sausage or ham. How about something different added to the waffle? Time to invite someone else to the table..
That’s fried chicken for breakfast paired up with a glistening golden crisp waffle. 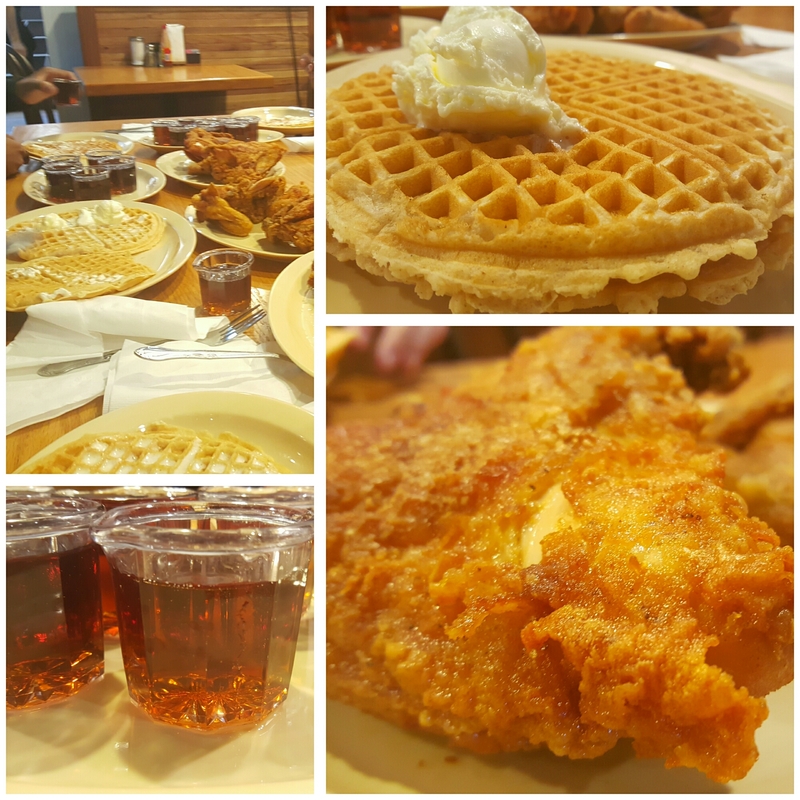 No place pairs them up better than Roscoe’s Chicken and Waffles! Get your Taste Buds on Guard for a Lashing of Flavor at Back a Yard! Caribbean cuisine echoes the culinary influences of Africa, France, Spain, India, Holland and Asia; in these water-soaked, tropical locales, fresh fruits and vegetables make up a large portion of the Caribbean diet. Caribbean food includes all of your favorites; seafood, chicken and steak, prepared with the flavorful and colorful ingredients of the Islands. The Arawak, Carib, and Taino “Indians” were the first inhabitants of the Caribbean Islands. Their daily diet consisted of vegetables and fruits such as papaya, yams, guavas, and cassava. The Taino started the process of cooking meat and fish in large clay pots. The Carib Indians introduced spices and lemon juice to their meat and fish recipes. The Caribbean Sea was named after this tribe, who are said to have prepared the first pepper pot stew. Once the Europeans brought African slaves into the region, the Caribbean became the crossroads to the world. The slaves’ diet consisted mostly of food the slave owners did not want to eat. So the slaves had to be inventive, and they blended their traditional African foods with staples found on the islands. The Africans introduced okra, callaloo, fish cakes, saltfish, ackee, pudding and mangos, to name a few. Presently, most Caribbean Island natives eat a diet that is reflective of these main ingredients found in original African dishes. 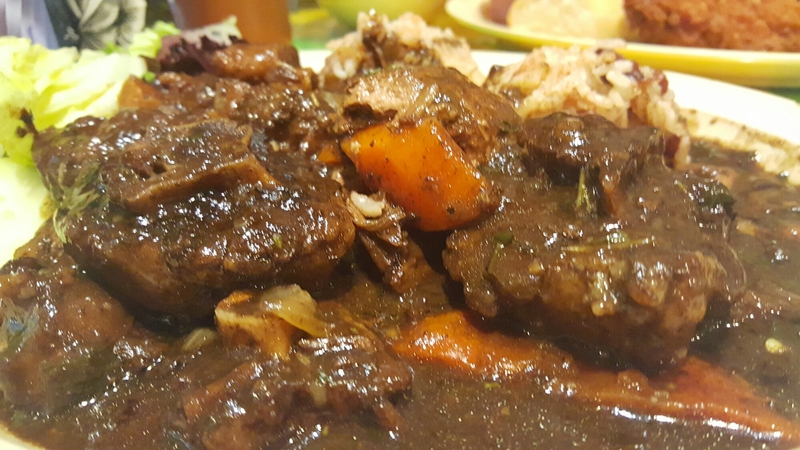 If you like Jamaican, Caribbean or Soul Food then you need to buckle your seats and be prepared to witness a phenomenon of utmost satisfaction.. Cuisine that will fulfill every nasty and disgusting desire you may have. The Cream of the Crop..
I’m talking a restaurant that has a menu pleasing to the eye and such great flavor that it is also pleasing to the soul. I’m talking about a restaurant sitting in the heart of downtown San Jose called Back a Yard! Bulgogi literally means fire meat — bul is fire and gogi is meat in Korean. This savory dish, typically thinly sliced beef marinated in a mixture of soy sauce, garlic, ginger, onion, sugar (or honey), sesame oil and black pepper, is grilled in front of you at the table, with sliced leeks and mushrooms. It’s served with side dishes of cooked or pickled vegetables that range from crunchy and cool to sharp, tangy and spicy. Until recently, bulgogi was considered a celebration dish, eaten on birthdays and at weddings or served to guests. Only a couple of decades ago, in fact, a bulgogi meal was worth bragging about to friends, at least for kids. 8.5 because it is a little pricey for the food. If it’s raining, let’s barbecue..
Looks like a storm coming, let’s barbecue.. I just heard an alarm that a hurricane is coming, let’s barbecue..
Not only Americans love barbecue but also my Korean brothers as well.. 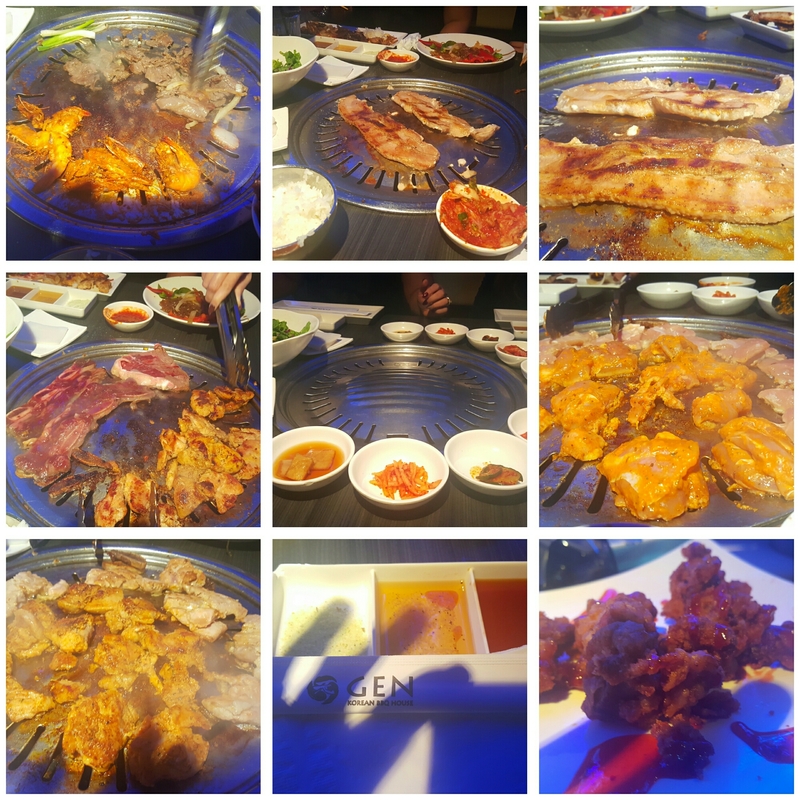 I found a great place to sizzle up some delicious fiddles over at GEN Korean BBQ. Let’s talk about it. ..